A year when the Calgary community came together in a challenging time to support one another; a year when our charity of 114 years, was proud to play a part in helping. Our “no one is turned away because of financial need” policy became more important than ever. Through the generosity of our members, participants and other Calgarians, our annual Strong Kids Campaign raised a record $1.6 million to give more children access to our programs and services. Thank you to all who donated for supporting children and youth. YMCA Calgary concentrates our efforts around three core areas of impact – the health of children, youth and adults, building community and providing opportunities for leadership. Within this annual report are stories we are proud to share – please see them in full at ymcacalgary.org or on our new YMCA Calgary mobile app. They are just a small sample of the impact we aim to have every day. YMCA Calgary is conscious of how fortunate we are to be able to serve at scale in five wellness branches, two camps and in over 60 sites across the city. Thanks to the generosity of the community, including a substantial partnership with the City of Calgary, the Remington YMCA in Quarry Park is slated to open in summer 2016, with YMCA Calgary operating the City-built facility. This 100,000 square foot centre will serve thousands of families, kids, seniors and the growing business community in Quarry Park. It is followed in quick succession by two regional recreation facilities– the Rocky Ridge YMCA (NW) and the Seton YMCA (SE). 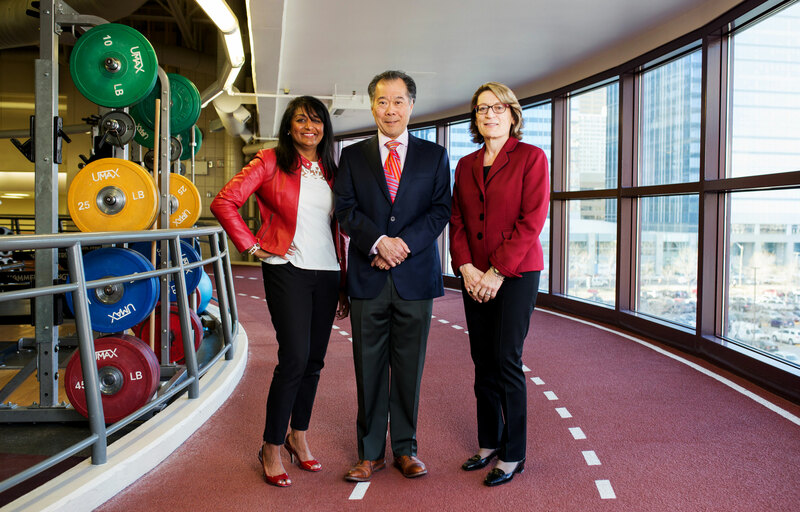 The City is investing $447-million in this wellness infrastructure and, despite the challenges of a downturn, have remained steadfast in that commitment. It is a fantastic partnership. This growth gives YMCA Calgary another platform to tell our story of impact through the ongoing $30-million YMCA Calgary Power of Potential campaign, one we aim to finish in 2016. To donors who have answered our call in Calgary’s boardrooms and living rooms, we say thank you for believing in a bright and ambitious future for our YMCA community.